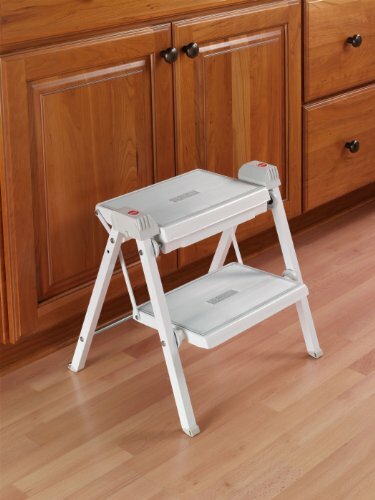 The Stepfix 2-Step Stool folds to only 4 inch thick, taking up minimal space. The step stool can be installed in a base toekick or it can be hung on a cabinet side panel with an optional bracket. The step stool locks in the open position for safety. Made of epoxy-coated steel, the step stool features non-slip rubber treads and plastic foot caps. Dimensions: Folded: 4 inch deep by 18-3/8 inch tall. Unfolded: 15-1/8 inch tall by 16 inch wide. Steps measure 7-3/4 inch by 11-3/4 inch . If you have any questions about this product by Hafele, contact us by completing and submitting the form below. If you are looking for a specif part number, please include it with your message.